How to Play and Enjoy Blu-ray/DVD/Video on LG Ultra 4K TV Windows and Mac? The 4K Ultra HD TV from LG changes the way we view everything. It deliveries four times the resolution of a standard HD TV, offering a bigger, bolder and more lifelike TV viewing experience. Movies will be more detailed than you've ever seen on a television before and sports in 4K will make you feel like you're at the game. Looking for 4K content to watch on LG UHD 4K TV, LG Smart TV's with Netflix now offers 4K resolution streaming video, other streaming services have also begun to adopt 4K resolution. To make maximum use of your UHD 4K TV, you can stream more local content such as Blu-ray, DVD, H.265 or other media files for watching on it. And the good new is that LG also gives you the possibility of playing files from external storage devices via HD cable or Wi-Fi connection. 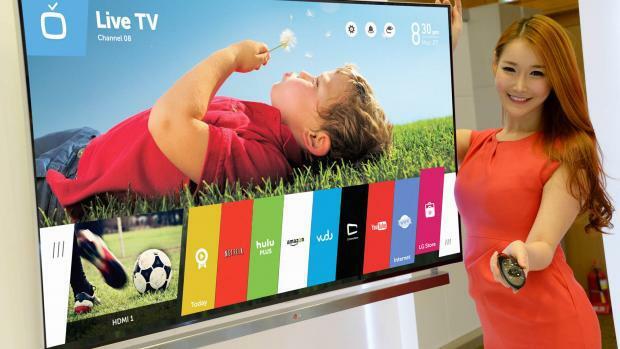 The bad news is that LG 4K UHD TV can not handle every files you throw to it. 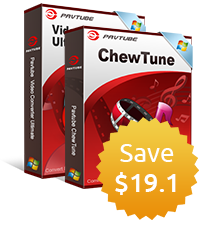 To address this issue, you will need to do some video transcoding work. 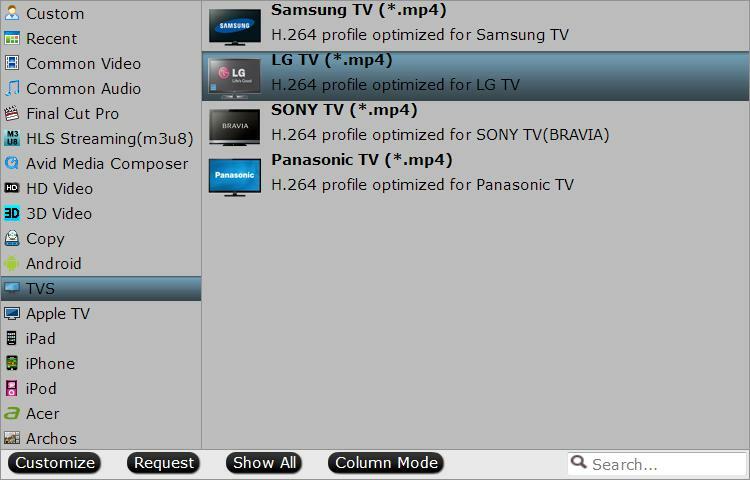 There are many programs enables you to output LG 4K UHD TV playable MP4 format, Pavtube Video Converter Ultimate/iMedia Converter for Mac is incredible the most beneficial application since it allows to directly output any video to LG UHD 4K TV optimized format with all the suitable output profile parameters. In addition, you can also upscale your SD or HD content to 4K content by change the output file resolution as 3840x2160. Start up the program on your computer, to add Blu-ray or DVD disc, click "File" > "Load from disc", to import common media files, click "File" > "Add Video/Audio" or "Add from folder" to import source files to the program. 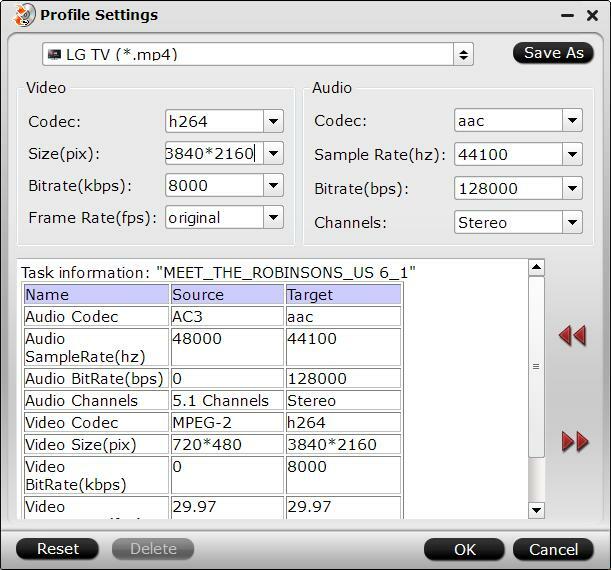 Step 2: Choose LG TV optimized output file format. Go to "Format" bar, from its drop-down select, select "TVs" > "LG TV(*mp4)" as your desired output file format. Click "Settings" icon on the main interface to open "Profile Settings" window, enter "3840*2160" in "Size(pix)" brackets, so that you will be able to upscale your SD or HD content to 4K resolution content for 4K UHD TV. Step 4: Start Video to LG 4K UHD TV conversion process. When the conversion is completed, you will be able to watch more sharper and detailed videos and movies on LG UHD 4K TV.